Storage, although cheap is still a limited resource. In our development and sustenance environments, we often get databases from multiple different sources which we need to use to troubleshoot certain issues or carry out some research and/or other development activity on. The backups of these databases take up considerable amount of space and we ended up either using 3rd party tools, or ensuring that the DBA uses a file compression tool to reduce the disk space consumption. 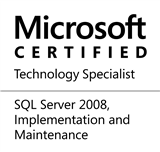 When SQL Server 2008 was released, it’s backup compression feature came to our rescue. When backing up the database, we can choose to compress the backup in the “Options” tab of the Backup database wizard. Within the Object Explorer, we launched the Server Instance Properties window by right-clicking on the SQL Server instance name and choosing “Properties”. When we navigate over to the “Database Settings” page, we find a switch – “Compress backup”. When checked (and the SQL Server contains an Enterprise Edition feature set), all backups using server default setting will be compressed backups. Because backup compression is a SQL Server instance level configuration setting, the only way we can use T-SQL to set backup compression by default is to use the system stored procedure – sp_configure. Setting the option ‘backup compression default’ to 1 will cause future backups from the server to be compressed, unless otherwise explicitly stated in the BACKUP DATABASE command. This entry was posted in #SQLServer, Blog, Imported from BeyondRelational and tagged #SQLServer on September 27, 2012 by nakulvachhrajani. Just to add, In SQL 2008 R2 with Standard edition we can take compressed backup..
All automated backups that I have ever put into production always included compressing it using either winzip or 7zip (including Oracle databases – I will now check if Oracle has this feature). Yes, this is a welcome feature in SS2008 and good to know about. It seems to me that the default for an installation should be to always compress a backup. Is there any reason why you would not want to compress a backup? @dishdy: I don’t see any reason not to have backups compressed by default. I mean, if one is going to compress it using a 3rd party tool, why not compress it right out of the box? All my servers have compressed backups ON by default. It is another tool in toolbox. Why do not compress by default? Because you can create backups in work hours. You can back up to another disk, but CPU in this situation is going to be higher. As additional tip: compressed backup is still bigger then “normal” archive.